The sign is nailed to a post on Cherry Creek Road, just a few miles south of the Putnam/White County line. BICYCLES UNWELCOME IN THIS COMMUNITY it says in bright red letters. Beneath the writing is a picture of a bike encircled with the strike-through sign. I pedal past that sign a couple of times a week. It hurts my feelings every time I see it. Why would anyone feel hostile toward bicyclists? We’re not noisy. We don’t pollute. We don’t litter. We’re simply having fun while soaking in the beauty of the Tennessee countryside and getting a great workout. Could the hostility stem, perhaps, from a lack of understanding of why cyclists do the things we do? 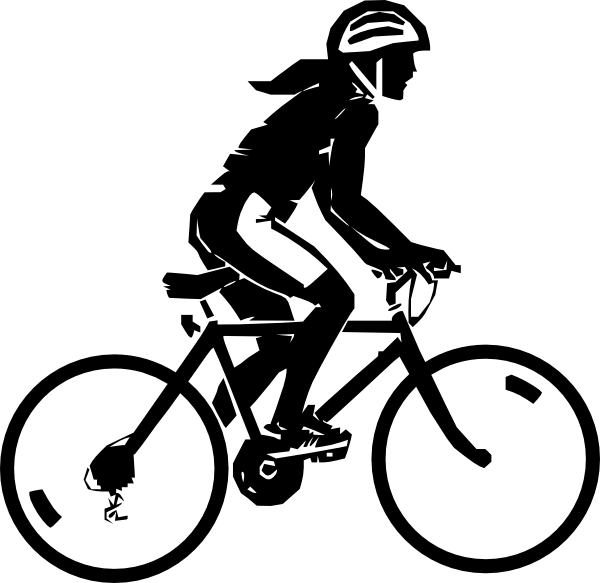 Some of our behavior might seem strange or annoying to anyone who doesn’t ride a bike. In the interest of peace and goodwill, I offer herewith a few things cyclists wish the folks we share the road with knew. We frequently must dodge things lying in the road. Fallen tree limbs, for instance. Loose gravel. Roadkill. Tiny acorns and gigantic walnuts. Broken beer bottles. Freshly mown grass. That’s why we sometimes slow down or weave unexpectedly. Though bicycling in hill country is exhilarating, it’s not easy. Especially on long, steep climbs. Imagine having your feet “clipped in” to your pedals (some riders, including me, do this because it provides more control as the pedals rotate) while chugging uphill on a blind curve. A car or truck pulls up so close behind you that you can hear what song is playing on the radio. You move to the right as far as you can without tumbling off the mountain, hoping against hope that the driver will wait until he or she is positive the coast is clear before going around you. Most drivers who come upon us climbing hills are safe and courteous. But it’s the one jerk in a hundred who lays on the horn, shouts obscenities or guns the motor and passes, no matter what, that makes me wonder if I ought to trade in my road bike for a treadmill in front of the TV. Then there’s the matter of dogs. I like dogs. Really I do. But dogs are often a nightmare for bicyclists. The worst, of course, are “guard dog” breeds that chase with the intention to maul. Or kill. Coming in at second on the canine disaster meter are little yappy dogs that get tangled up in your wheels as they nip at your feet. Last but not least are friendly dogs who are convinced you’re having so much fun that they opt to share the good times by running alongside you for several miles. That’s why bicyclists love, love, love dogs that are on a leash or fenced in. What we don’t love are motorists who are so careless or distracted (and, yes, a cell phone is often the cause) that they cross the center line or ignore a stop sign. Or simply don’t see us, even though many cyclists wear “high viz” clothing. When a bicycle and a car collide, the bicycle loses. Every time. That’s why we implore you to pay attention and give us some space. Please, oh please. In the countless miles I’ve ridden my bike over the past several years, I’ve tried to keep an informal tally of how many of the folks I’ve encountered are courteous and friendly versus how many are not. I’m happy to report that there are a hundred times more nice folks than troublemakers. Maybe even a thousand times more. I try to remember that every time I pedal by the sign declaring I’m unwelcome in the community where I live.